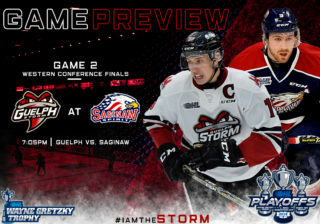 Exactly one year to the day, three members of the Guelph Storm will try to do it again Tuesday night: win Game 7 of a playoff series. 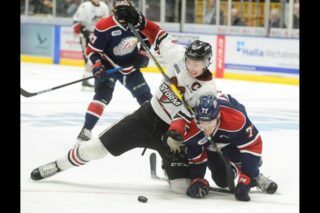 A year ago Markus Phillips, Nick Suzuki and Sean Durzi were members of the Owen Sound Attack, looking to move on to the next round by beating the Sault Ste. Marie Greyhounds in Game 7 at the Soo’s Essar Centre. They’ll be looking for a different outcome than the 9-7 loss they suffered that night. 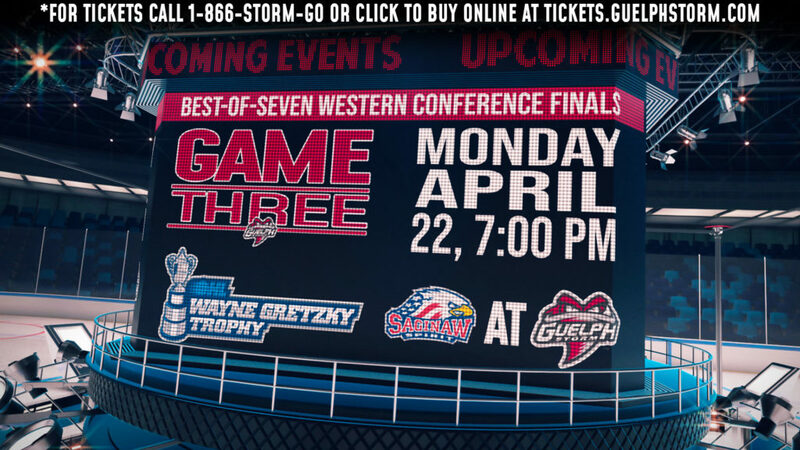 Just like a year ago, they will try and do it in hostile territory, as the Guelph Storm travels to London’s Budweiser Gardens for the deciding game of the Western Conference sermifinal. 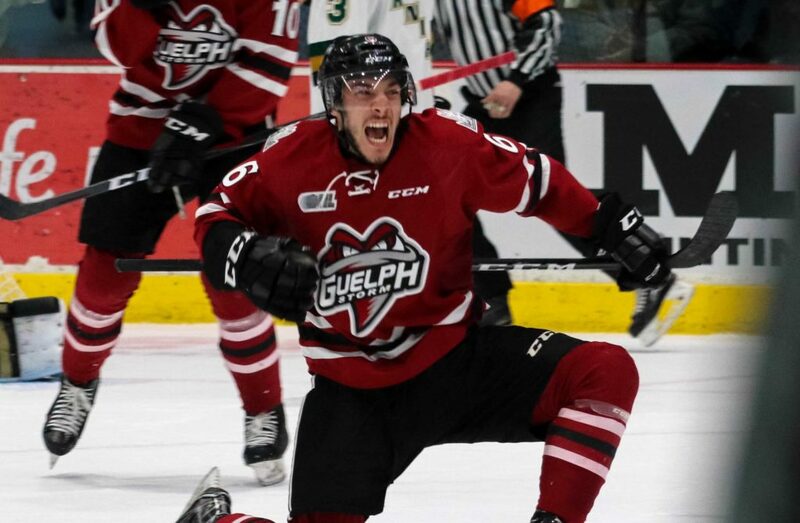 Tuesday is the third time that Guelph has faced elimination, fighting back from a 3-0 deficit to tie the game at home on Saturday. “We’ve been playing for our lives since we went down 3-0, so we’ve got to keep bringing that same attitude. 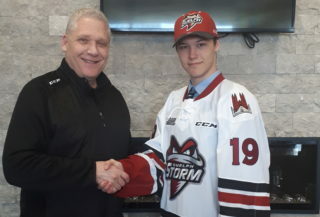 It’s going to be one hell of a game probably,” said Suzuki. “Everyone’s playing some of their best hockey this season and we’ve got to keep building on that. I think the confidence in the room is high,” Suzuki said. In Game 7 a year ago Suzuki had an assist, Durzi had two goals and three assists and Phillips, who had a high ankle sprain, played two shifts then watched the rest of the game from the bench.